Last updated 3/5/2010 by David Giblin. Publication: Flora Rossica 2: 378. Notes: Murrell (1994) does not report Cornus canadensis from Washington, but it or hybrids with it have been collected in northern Idaho and on our northern border with BC, and it should be sought in WA. » Murrell, Z. E. 1994. 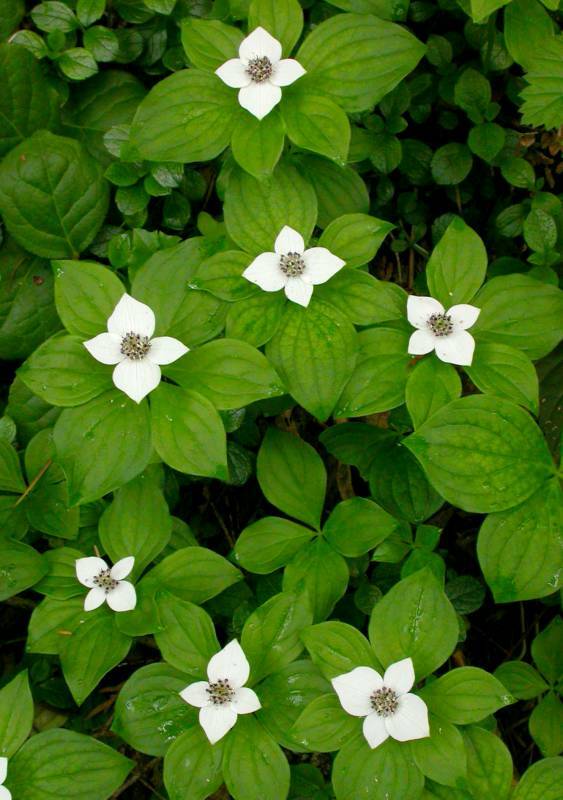 Dwarf dogwoods: intermediacy and the morphological landscape. Systematic Botany 19: 539-556.